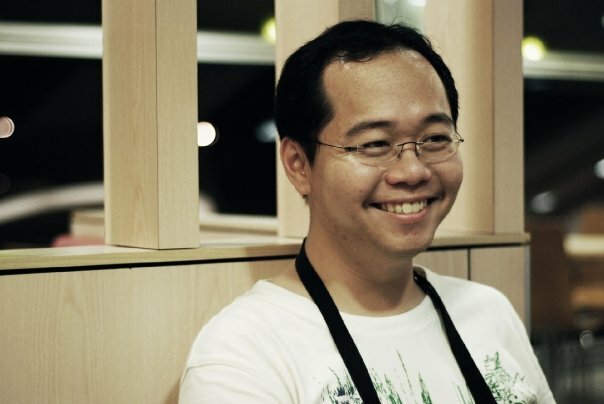 Sebastian Ng is a filmmaker with an extensive experience in various aspects of filmmaking. Until recently, he was employed at Rhythm and Hues Malaysia. We first met a number of years ago (half a decade ago! Time flies…), and since then he has compiled a very interesting portfolio indeed. 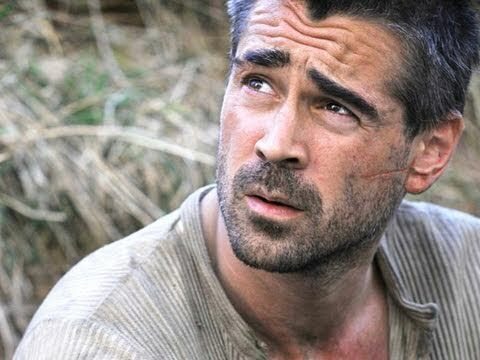 In the first of this two-part interview, he talks about how he first got into filmmaking, why Will Smith battling aliens is important, and the experience of not producing films starring Colin Farrell. We first met at the 2009 Busan International Film Festival in Korea, when you have a tendency to fall asleep during films. Do you still do that? On a side note, I noticed that for your recent reviews of films you’ve watched at the 2013 Busan International Film Festival, you’ve measured the number of minutes you were asleep for. How do you measure these minutes? Well it’s rough. Sometimes I know because I was probably looking at the watch quite often and I can roughly guess how many minutes I dozed off. And I would be looking at the watch often because the movie was boring. No…Sebastian didn’t direct ‘Lady in the Water’. Unfortunately. Nevertheless…hello, Sebastian! What do you do, and what are you up to now? Right now I’m a freelance video editor. I’m just about to start editing a half-hour documentary about Malaysian artists and their views of art and politics in Malaysia. I’m also supposed to be writing my own screenplays, or so I keep telling my friends, but I can never settle on one idea and I’m a chronic perfectionist and procrastinator and…yeah, I haven’t been writing enough. I used to review films for KLue magazine’s online portal but nowadays I just post my mini-reviews on Facebook. How did you get into films and filmmaking? I started becoming obsessed with movies after I saw ‘Independence Day’, when I was twelve. I know…odd film to be inspired by, right? [No! ‘Independence Day’ was a classic! – ed] I watched so many movies over the years (mostly contemporary, not much of a classic films guy) that by the time I was in college I’ve become the go-to person to ask for any movie-related question. Also, during my second year of university, I was the film scheduler for the student cinema. A parallel development was that during my high school years I was always writing short stories and posting them on story websites like Kidpub.com and Kidstuff.com; these were the early years of the Internet, before the days of blogs and graphics-heavy webpages. My stories were almost always inspired by a recent movie I saw; they’re usually very sensationalistic—epic disasters and action thrillers—and with terrible grammar. One day, I was probably around 13 or 14, I got an email from an American kid saying that my stories were quite cinematic and that I really should make movies in Hollywood one day. It wasn’t a thought I took seriously until later in my high school years when, with the endpoint of school life just a few years away, it became more crucial to think about what I should be doing with my life. I studied Economics in university because I had enjoyed it in A-levels; however I soon found myself drowning in the subject. When I stopped focusing on Economics, the ensuing void made clear that film has always been so embedded a part of my life, just as the cosmic background radiation has been to the Universe. If you have to pick one film and one filmmaker as your favourite of all time, which would they be? I always say that my credibility drops ten points when I reveal my favourite film of all time. It’s ‘Titanic’. Personally I think it’s the perfect example of filmmaking, in all aspects, from the music to the art direction to the editing to the visual effects to the dialogue, and so on. The film got me obsessed with the historical event itself. It’s fascinating. It’s the weirdest disaster to have struck in the early 20th century; I mean, just look at how the ship was dragged upwards, and then splits in half, and then goes vertical again before sinking. Now imagine being on board, experiencing that. For a few months after watching the movie, I really wanted to experience that. It got a bit obsessive. Nominated for the American Cinema Editors Student Editing Award in 2008. Directors, hmm…tough one. Can I name two? I’ll name two. I would say the director who is most consistent in making movies that creates a profound emotional reaction in me is Ron Howard. I don’t know how he does it, but despite having watched ‘Apollo 13’ enough times to not forget the ending, I still get tensed up at the suspenseful climax when the astronauts re-enter Earth and the world awaits the outcome of their re-entry. And I’ve seen it perhaps ten times. It’s baffling. In ‘A Beautiful Mind’ he manages to trick me not once, but twice about John Nash’s schizophrenic condition; I still can’t figure out how he managed to achieve it the second time. You see, for most other filmmakers, if I like or don’t like something in their films, I usually have an explanation or theory about why something works or doesn’t work. With Howard, even when he sort of fails, like with ‘The Da Vinci Code’, I cannot explain why I think it didn’t work. The other filmmaker whose instincts put me in awe is Paul Greengrass, who directed the middle two Bourne films (the best action trilogy of all time! ), the gut-wrenchingly real ‘United 93’, and recent Best Picture nominee at the 2014 Oscars, ‘Captain Phillips’. Greengrass loves shakycam cinematography and knows how to use it, which I know a lot of people don’t like, but personally I love, love, love the way he does it. He also tends to ground his action films in the real world, almost always with political themes in the background. Shakycam and realism, two things I endeavour to have in my own films. On your Facebook profile, I saw that you graduated from the University of Warwick in Economics. What convinced you to make the jump to studying and making films? I remember when I was in Form Five, I wasted countless hours reading and re-reading the Media Studies course information offered at Royal Holloway (University of London). It was just daydreaming; I didn’t seriously think it was possible. My father didn’t even have to tell me that studying filmmaking was a spurious choice. Like an act of self-censorship, I was already culturally wired to expect to study a professional degree at university. I don’t regret studying Economics, though I didn’t excel in it and by the end of my university days it was clear to me that I wasn’t going to become an economist, or any other related professions. You know how in rom-coms, the girl would be chasing after the guy of her dreams, only to realise in the end that she’s really in love with this other guy who’s always been there for her right from the start? That’s what film has been for me. So, at the end of my university days, I decided that I need to make my way to the film industry, somehow. As it turned out, no. After my graduation ceremony at Warwick, which my parents flew over to attend, we went for lunch and my dad asked me what I wanted to do next, and I said film school and my dad said, “Okay”. Just like that. It was that uncomplicated. Believe me, I was surprised. 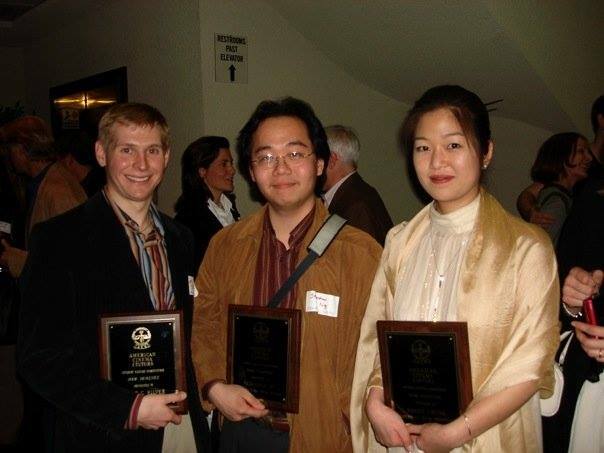 I went to the Los Angeles Film School (LAFS) before the end of that year. How did that come about? Was there a specific reason why you chose to study there? Well, given that I had just finished a degree and that my family doesn’t grow money on trees, there was no way I would be applying to University of California, Los Angeles (UCLA) or New York University (NYU). Looking at shorter courses available in Los Angeles, the most obvious choices were New York Film Academy (NYFA) and LAFS. I’ve been looking at NYFA for years; I first came across the brochure, rather randomly, in my boarding school in England, Concord College … till today I still don’t understand how it ended up there. Eventually, I settled on LAFS because of its very central location, on Sunset Boulevard, pretty much the heart of Hollywood. The then-named Kodak (now Dolby) Theatre, where the Oscars are held annually, was just 20-minutes walk away from the school. While studying there, I was able to attend industry events, preview screenings and panel discussions with established filmmakers in locations within a few miles of my film school. How much of a factor was Los Angeles in your decision-making process? Definitely a factor. The other place I could’ve contemplated studying film in was New York, because for sure I would be meeting and interacting with other people who could’ve inspired me creatively, but then it would’ve been a lot more expensive. 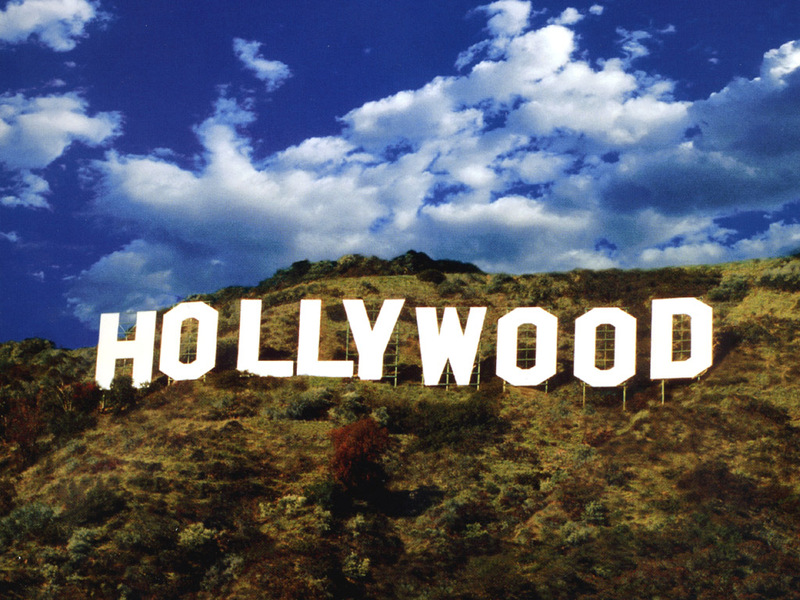 The main thing was that Hollywood is the epicentre of the film industry. Living and studying in Hollywood meant going straight into the heart of the beast, and getting first-hand experience with what Hollywood is. Film school was both what I expected and also not what I expected. I, like most film students, went into film school thinking we would do great work, that we would pour our creativity into making short films that, though amateurish, would show promise. That was the beautiful delusion. In practice, one gets bogged down by a surprising lack of motivation, and most of us were too immature anyways. (Speaking for myself, my immaturity then stems from thinking I was already matured enough.) Ultimately I didn’t think I maximise what I could get out of film school; being a typical good Asian student, I was too concerned with besting my peers and hoarding knowledge than I was in developing myself by putting myself in challenging situations and learning in that way. I remember a famous filmmaker (forgot which one) said that the most important thing to gain from film school are the connections you make with your fellow film students; if you succeed in finding a set of people with whom you are completely comfortable working with, they will likely become your film industry partners for the rest of your life. In my case I became quite close with my producer Lulu, a foul-mouthed American Chinese woman whom I love to bits. You also interned at a number of different companies such as the Film Department and Phoenix Pictures Inc. What did you do and what was it like? I was an intern in both companies for about three months; each week, I did a couple of days at Phoenix and the other three days in The Film Department. Being an intern means taking care of the photocopy machine, collecting and distributing mail, getting coffee, manning the telephones when the exec assistants were away (gosh, that was terrifying). You don’t get paid, but you get an inside view of how things work in a production office. You get invited to some of the meetings and see how the CEO and the execs opine about current events in the film industry and how they decide which movies to produce and how they go about it. One time I got to attend a massive party at the Sony studio lot.